With its family friendly displays, Wolverhampton Art Gallery welcomes visitors to explore 300 years of art, from delightful Georgian paintings and Pop Art to thought provoking contemporary pieces. Admission: £3 per child. Opening Times: Opening Details: Booking required! Great new equipped soft play area for kids and dedicated toddler area, junior area with slides, stepping stone run, spider web crawl and inter active light and sound system. The history of the tunnel and limestone mines spans millions of years, starting with the creation of the limestone and coal seams 420 million years ago. To make it easier to navigate, the history has been split in to three sections. Children can enjoy and run around here with lots of different things including - Ball pools, Tube slide, Spiral tube slide, Giant piano, Ball swing, Punch bags, Rope bridge, Tumble Tower, Spooky room and Sky castle. Adventure playground, sensory garden and fitness equipment are dotted about this picturesque freebie. Scallywags is an Children's Indoor Play centre which is aimed at children aged 0 to 8 years. There is a play frame which has slides, zig zag climb, biff bash etc., During term-time Monday to Friday there are toddler sessions between 10 a.m. and 3.00 p.m. on site cafe also offers a fantastic selection of snacks and cakes. Welcome to the amazing county of West Midlands. If you need child friendly ideas where to take the kids, kids days out in and near this area, or fun things to do with the kids in West Midlands then we can help. We have family pubs with kids play areas, soft play areas, indoor play areas, outdoor play areas, playgrounds, aquariums, castles, stately homes, children's clubs such as Scouts, Cubs, Beavers, Brownies, Guides, youth clubs, activity centres, Air, Sea, Army Cadets, and all in West Midlands. We list children's entertainers in West Midlands if you are planning a birthday, cinema, theatre, petting zoo, animal farms, children's farms, leisure hire, museum and art gallery, nature areas such as parks, and countryside walks and beaches. We have kids activities related to outdoor pursuits and sports such as swimming, ice skating, ten pin bowling and football centres. We list theme parks and Adventure Parks in West Midlands . If you are looking for zoos with more exotic animals then we have them. We have days out with the kids in West Midlands in and near :- Birmingham, Coventry, Dudley, Hereford, Lichfield, Rugby, Shrewsbury, Solihull, Stafford, Stoke on Trent, Sutton Coldfield, Tamworth, Telford, Wolverhampton, Worcester. 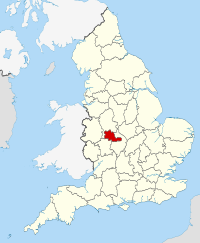 The name 'West Midlands' is used in reference to the western half of the Midlands as opposed to the East Midlands. The area has official recognition as one of the regions of England. there is lots of things to do with kids and children in The West Midlands with days out in the parks, indoor play, family pubs with out door and indoor activities. there is a wealth of stuff to do so just browse the site to find these kids fun days out and get them out there! other sightseeing tours and holiday places are available in this area and we list them all for you to view and choose your choice for a family day out event. Acocks Green, Albrighton, Aldridge, Alvecote, Ansty, Aylesford, Balsall Common, Barston, Bentley, Berkswell, Bilston, Binley, Birmingham, Birmingham Airport, Bloomfield, Bloxwich, Brierley Hill, Brierly Hill, Brockmoor, Brownhills, Castle Bromwich, Claverley, Clent, Codsall, Coleshill, Corley, Countywide, Coventry, Cradley Heath, Dorridge, Dudley, Edgbaston, Enville, Erdington, Forhill, Gornal Wood, Halesowen, Harborne, Henley in Arden, Henley-in-Arden, Hockley, Keresley, Kingswinford, Knowle, Lapworth, Leeds, Lickey, Longford, Marston Green, Meriden, Minworth, Moseley, Oldbury, Oldbury Warley, Pensnett, Princes End, Quarry Bank, Rowley Regis, Rushall, Ryton on Dunsmore, Sedgley, Shelley, Small Heath, Smethwick, Solihull, Stourbridge, Sutton Coldfield, Tettenhall Wood, Tipton, Tividale, Wakefield, Wall Heath, Walsall, Wednesbury, West Bromwich, Whitacre Heath, Willenhall, Wishaw, Wollaston, Wolverhampton, Wombourne, Wootton Wawen, Worthing.